Heute aktuelle Zwischen-Wettermeldung aus Italien! 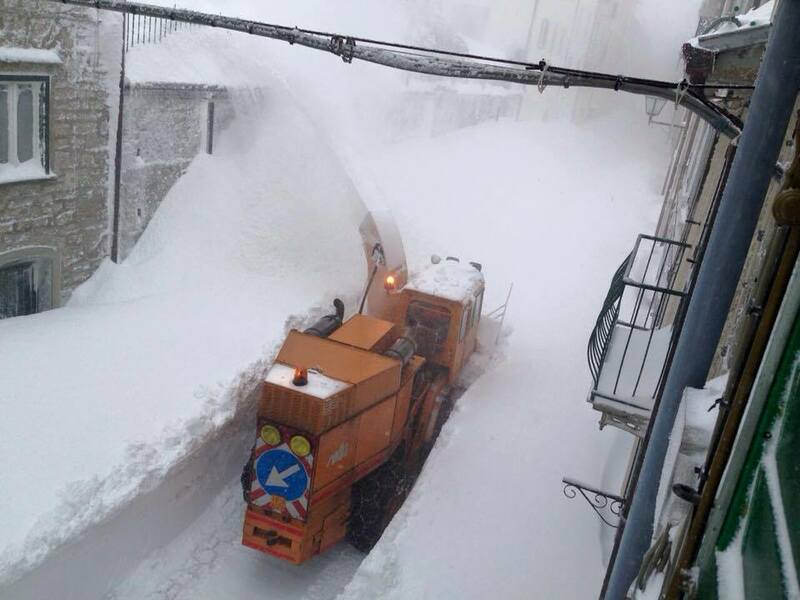 According to Meteoweb.eu, 256 centimetres (100.8 inches) of snow was measured in about an 18-hour period in the town of Capracotta, Italy, on Thursday, March 5, 2015. Capracotta (population about 1,000) is located about 90 miles east of Rome in the Apennine Mountains, at an elevation of 4,662 feet (1,421 metres) above sea level. 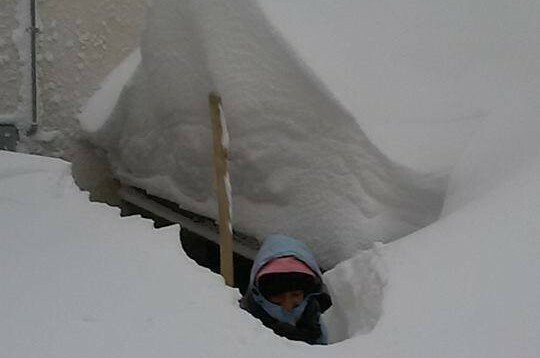 The village of Pescocostanzo also picked up 240 centimetres (94.5 inches), or almost 8 feet of snow, last Thursday, according to Meteoweb.eu. „That would be maintaining a rate of around 5 inches of snow per hour for 18 hours,“ said Weather Channel meteorologist, Tom Moore. The slow-moving storm responsible for this massive dump of snow in the Italian high country also generated a massive windstorm that downed trees in Tuscany, as well as other parts of Italy, Bosnia and Croatia. Dieser Beitrag wurde unter STADT und LAND, WINTER abgelegt und mit inverno, ITALIA, Italien, Italy, WINTER verschlagwortet. Setze ein Lesezeichen auf den Permalink. 5 Responses to Heute aktuelle Zwischen-Wettermeldung aus Italien! 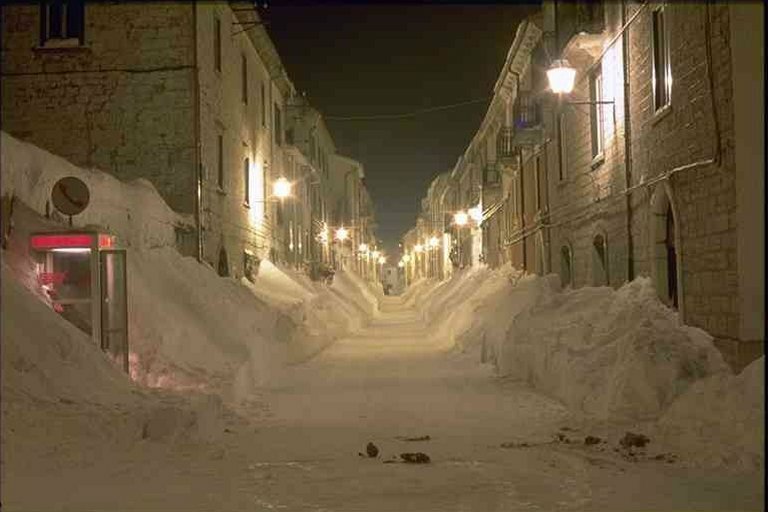 Calabria hatte zu dieser Zeit den gleichen Wintereinbruch. Ich war vor einigen Jahren, auch am 5. März in Milano und da fuhren die Schneepflüge in Kolonnen. Aber danach ist la primavera !! !